The black beer was finished but they had plenty of blond beer to the regular price. The menu was similar with Hoavien in Tang Bat Ho street but less tasty. Potatoe in many forms, fried cheese and sausages combined with vietnamese food. The service might not be the best one but staff is friendly and helpful. Be sure you speak some vietnamese. Beer has 4-5 % like the most breweries and taste a bit like the beer you get in the goldmalt breweries. 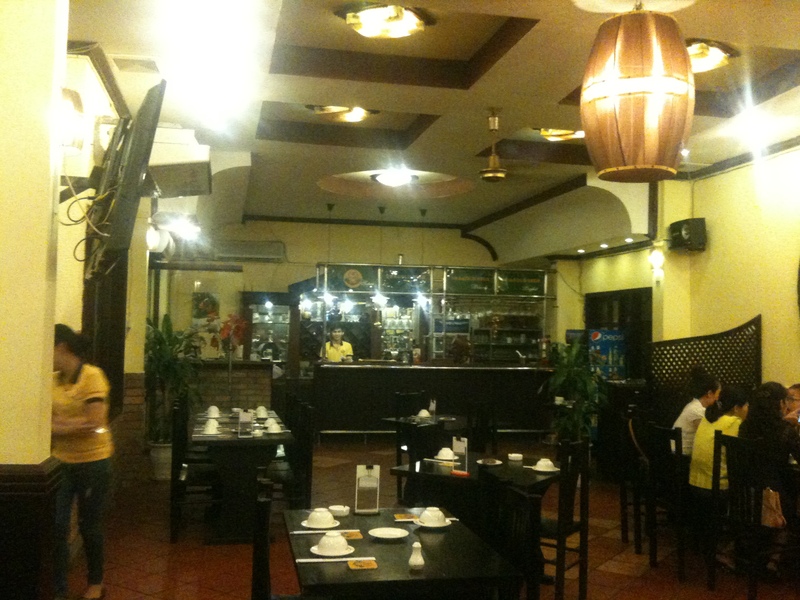 This entry was posted in Activities and news and tagged microbrewery, microbrewery Hanoi, Pragold brewery. Bookmark the permalink. 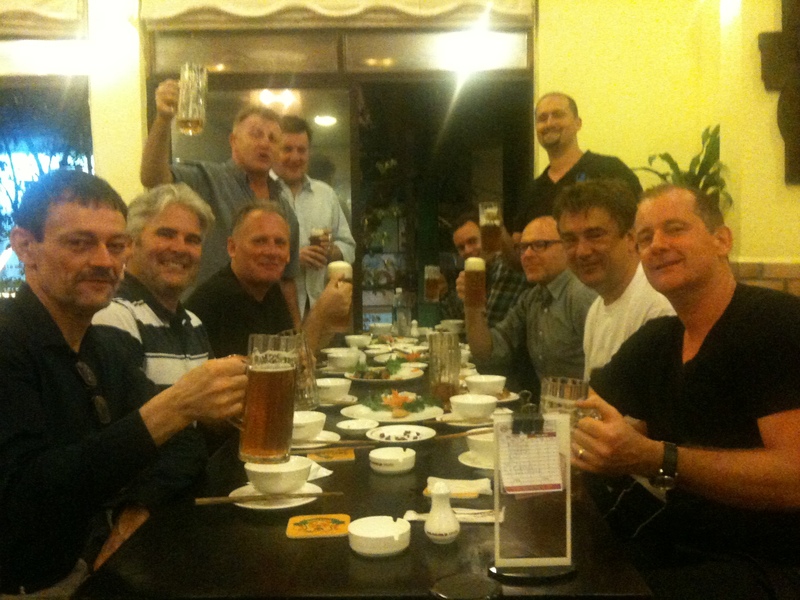 Johnno, surprised to see you drinking beer in Hanoi..